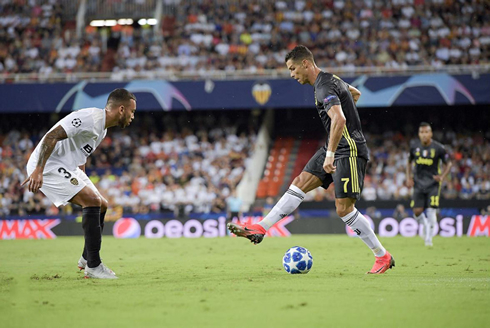 Juventus started their 2018-19 Champions League campaign with their right foot in a 2-0 win against Valencia, but the same can't be said about Cristiano Ronaldo. The Portuguese star was shown the red card in the 1st half and left his team playing with 10 men for more than an hour. 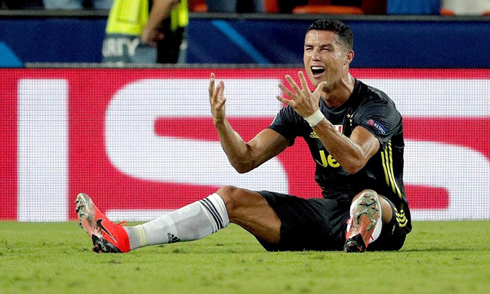 The Champions League action has finally returned to our lives and even though Juventus couldn't have asked for a better start following their 2-0 win against Valencia at the Mestalla, there's a sort of a bittersweet taste in some of us because of what happened to Cristiano Ronaldo tonight. It all happened around the 29th minute, when the 33-year old got involved in an argument with Murillo and brought him down inside Valencia's box. The Portuguese forward then rushed in his direction and seems to have slightly scracthed the top of his head as a sign of disagreement. The referee consulted the goal line referee and showed Ronaldo the red card. Frustrated with the decision, Ronaldo left the field crying and visibly gutted, but that didn't affect Juventus' unity and the Italians still managed to leave their mark in Spain. Well, it was certainly the exact opposite of the Champions League debut that Cristiano Ronaldo was hoping for and even in case you had all the sport betting information at your disposal, you certainly didn't predict an outcome like this. Back in Spain and playing against a team he's made a habit out of scoring against in his time with Real Madrid, all eyes were on the Portuguese star. 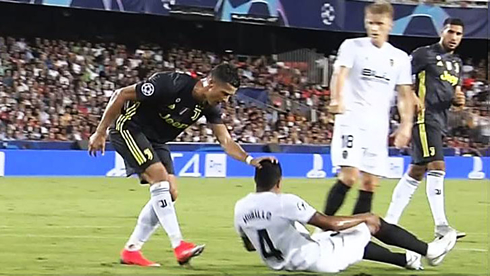 But he was sent off in the first half before the first half an hour, for what the referee deemed to be a hair pull or a scracth on the Valencia defender Murillo. It seems that it was the linesman who informed the referee of the off-ball incident and Ronaldo was off. That's two games back to back now where Juventus players have been sent off for outbursts on the pitch. The general consensus seems to be shock that Ronaldo was expelled from the match and he was playing quite well up to that point. An earlier ball of his lead to a miss from Sami Khedira in the box. But alas the call was made and Juventus will certainly be protesting it I'm sure. 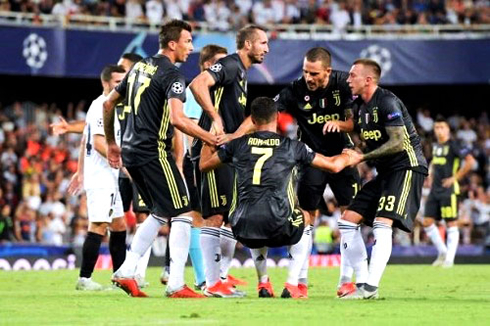 We should have more news about Juventus' reaction and a possible appeal this Thursday, but in case they don't succeed, Ronaldo may miss the next Champions League fixture against Young Boys, at the Allianz Stadium in Turin. Still, the Bianconeri never panicked and would secure an impressive 2-0 victory away from home, even as they were down to 10 men. Miralem Pjanic scored twice and both from the penalty spot. 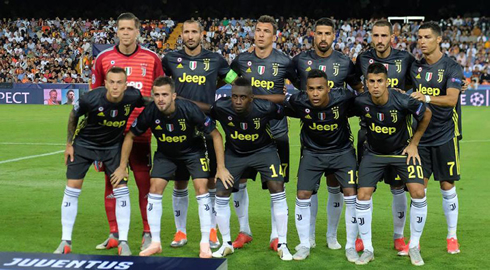 A late penalty save by Szczesny would secure the clean sheet and Juventus will be heading home off too a good start in the Champions League campaign. It was an especially impressive outing for the other Portuguese player in the squad João Cancelo, who has been fantastic all season. Cancelo along with Pjanic were the standout players today for the Old Lady. Cristiano Ronaldo next game for Juventus is on September 23 of 2018 against Frosinone. You can watch Frosinone vs Juventus, Celtic vs Rosenborg, F91 Dudelange vs AC Milan, PAOK vs Chelsea, Arsenal vs Vorskla Poltava, and Marseille vs Eintracht Frankfurt, all matches provided from our live soccer game pages.